The second Greek rescue programme was not merely late, but also insufficient, making a third programme inevitable. Last week the IMF published a review of the financial assistance given to Greece during its debt crisis. One of the key limitations identified in the report was that debt relief for the country was provided far later than it should have been. Waltraud Schelkle writes on the fallout from the report, which generated angry responses from both the European Commission and the European Central Bank. She argues that while the second Greek rescue programme was undoubtedly late, it was also insufficient: amounting to a write-down of only around 33 per cent of Greece’s debt-to-GDP ratio. As a result Greece is likely to need a third rescue programme. In its recent evaluation report of the first Greek programme, the IMF conceded that debt relief for Greece came too late. The IMF formulated the report largely as self-criticism, but the other two members of the troika, the European Commission and the European Central Bank (ECB), were not amused. The ECB rejected the critique with the calm air of the untouchable while the Commission, senior partner in the Greek rescue programme, reacted quite angrily. How bad are the tensions in the troika? Far from revealing a deep rift within the troika, the IMF report shows a fundamental consensus among the three partners. The IMF said it was wrong the first time round, but would do the same again if confronted with a similar situation of uncertainty now. So does the criticism boil down to the notion that the second rescue programme should have come with less delay once the overly-optimistic assumptions became obvious? If so, the Commission would be angry for good reason: if the right thing has been done now, everybody should just shut up and let the Greek government get on with the job. After all, the EU is a union of democracies and this has to be respected. Under the first programme (2010-2011), the debt-to-GDP ratio ballooned by more than 40 per cent. Yet, the primary budget deficit contributed only 7 per cent to this 40 per cent rise. This was due to a dramatic turnaround in the fiscal situation: the IMF report notes that the ‘ambitious’ (read: harsh) conditionality on fiscal adjustment was pretty much the only thing that was slightly over-fulfilled by the Greek authorities at the time. The explosion of the debt ratio was the result of a collapsing economy, ie the denominator of the ratio declined, and high real interest rates since prices and wages dropped significantly. The second rescue programme then conceded for the first time that sovereign debt had to be written down. By March 2012, private bondholders were cajoled into accepting haircuts that would bring down the Greek debt ratio to a sustainable level. But contrary to the impression that the widely published figure of a ’70 per cent haircut’ created, the Greek government got much less debt relief. This was because the major private bondholders that had to write down their claims against the Greek government were Greek banks. But since the Greek banks became insolvent when they had to write down their holdings by such a high percentage, they had to be recapitalised. They were recapitalised out of the funds the government received under the second programme. So while the public debt that Greek banks held was written down, some of it came back on the Greek government’s books as debt to the EU and the IMF, with which the government had acquired shares in ailing domestic banks. There were also quite a few ‘PSI sweeteners’ built into the programme (the term is official IMF language), which are concessions to the private bondholders to make them agree to a write-down of the face value of their bonds. The sweeteners and bank recapitalisation reduced the effective debt write-down by more than half. All in all, the IMF estimated the net reduction of the debt ratio from Public Sector Involvement (PSI) in the order of 33 per cent, so less than what the debt dynamic under the first programme had added. One could call this a merry-go-round if only it were merry. From the point of view of the Greek government, the second programme amounted largely to a swap of creditors, not to debt relief: the IMF and the European emergency fund replaced domestic banks. Greece will need a third programme because the second was not merely late, but also insufficient: the effective debt write-down was a rather smallish 33 per cent of Greece’s debt-to-GDP ratio and largely borne by Greek bondholders. The rescue programme will have to live up to its name and not be a merely symbolic gesture that gives a completely distorted image of the Greek adjustment effort, the amount of debt relief granted and the distribution of the losses. Waltraud Schelkle would like to thank Karl Betz (Berlin) for a useful discussion of his research on the Greek crisis. Waltraud Schelkle is a Senior Lecturer in Political Economy at the European Institute of the London School of Economics. She is also an Adjunct Professor of Economics at the Economics Department of the Free University of Berlin. Previously, she worked as a development economist at the German Institute of Development in Berlin. 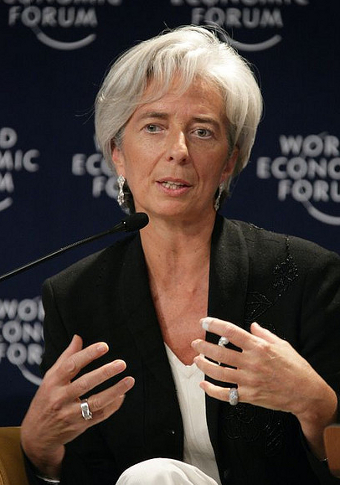 She is particularly interested in the political economy of European integration. The longer the Greeks foot drag over urgent reforms to their large and inefficient public sector the longer the more bailouts will be needed. The public TV ERT is shut down and everyone wants it reopened? Greece does not want the reforms, it justs wants to take the money from Berlin?